Okay, so this isn’t going to be the most exciting blog…I mean cleaning?! Not a glamorous topic. Nonetheless, I just learned how to clean the jets of my jetted tub without using chemicals and I figured that since I had to research how to do that then maybe others might be interested in my passing the info along. My husband and I have a jetted tub in the master bathroom of our new home and this is the first time I’ve ever had one. In general I try to use natural or “green” products for cleaning around the house but I’m not strict about it. However, I was grossed out with the thought of using chemicals on an area that I would sit in at a future time. I’m in no way saying that it’s dangerous to use chemicals to clean a tub, but I personally feel better using natural products to do the job, especially if it works as well. The tub looked clean after using the lemon and vinegar combination (as described below). Plus a nice side effect was that the bathroom smelled nice. We will definitely use this lemon and vinegar combination again to clean our jetted tub. It’s super easy and not expensive. And next time I have a bath…my mind will be perfectly at ease about what I’m sitting in! 1. Fill the tub with water, as hot as you can get it, just high enough to go above the jets. 2. Pour in the vinegar. 3. Squeeze the juice from the lemons into the tub and then place all the lemons in the tub. 4. Turn the jets on and let it run for a standard cycle (usually 5 to 15 minutes). 5. 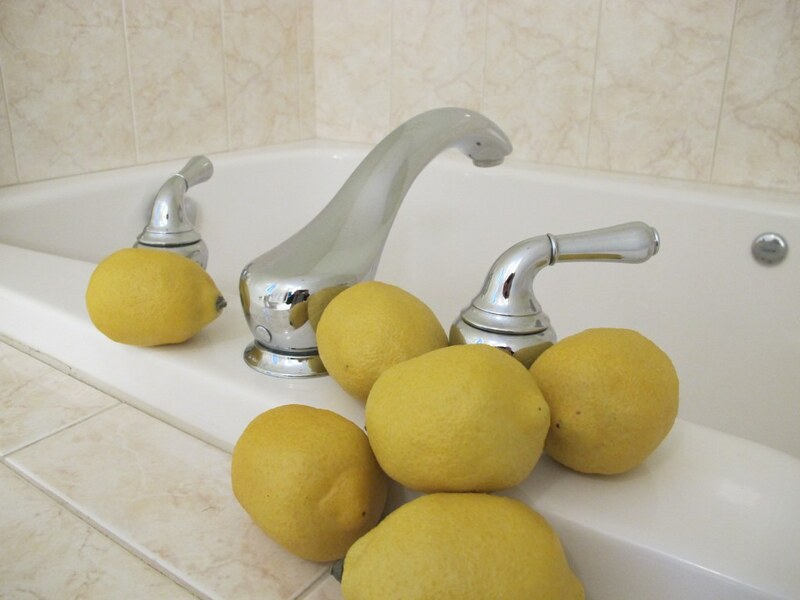 Remove the lemons from the tub and drain. 6. Take a towel and wipe the tub and jets clean. Feel free to view the original article directly.